On Friday September 2, President Obama directed Environmental Protection Agency (EPA) administrator, Lisa Jackson, to withdraw proposed regulations on ground level ozone. Ground level ozone is the main component of smog. Obama’s decision overruled the position of the EPA and the unanimous opinion of its panel of scientific advisors in the Clean Air Scientific Advisory Committee (CASAC). Obama’s instructions for the EPA to ignore the findings of the CASAC are a violation of the law as established under the Clean Air Act. Obama’s pro-smog decision follows by one week an August 26th ruling by Obama’s State Department that the Keystone XL pipeline would bring "no significant impacts" on the environment. This despite the fact that the 800,000 barrels of tar sands crude that the pipeline will be carrying daily has, according to EPA estimates, 80 percent higher carbon emissions than the average crude oil refined in the United States. Despite fake controversy in American corporate run politics, it is well known in science that carbon emissions are a greenhouse gas causing global warming. Global warming is the single most significant environmental problem humanity is facing, rapidly raising the Earth’s temperatures higher than anything ever experienced by humans and bringing with it all kinds of catastrophes and potentially even ending human civilization. The XL pipeline, despite the lies of Obama’s State Department, will have a significant impact on the environment. This State Department ruling of “no significant impact” also comes despite the fact that the crude oil being obtained for the XL pipeline comes from highly destructive strip mining in Canada. Despite the clear position of Obama’s State Department in favor of the Keystone XL pipeline, Obama still has the authority to veto the project and over a thousand people have been arrested in civil disobedience protests in Washington DC demanding Obama do so. This kind of visible movement that attempts to embarrass Obama and brings people together demanding action on climate change starts creating needed pressure on the Democrats and could also potentially start building necessary political alternatives to Obama and the Democrats. When elected Obama repeatedly promised to have the EPA regulate greenhouse gas emissions, but failed to make any attempt to do so. Likewise, Obama failed to take any action on creating a significant jobs program after he was elected, despite having a full two years when the Democrats controlled the House and Senate. Obama’s excuse for not following the law on regulating smog and not properly regulating greenhouse gas emissions is to allow more economic growth. Theoretically, according to Obama and the Republicans, less regulation will supposedly provide more jobs. Yet, Obama has also extended Bush’s tax cuts for the wealthy with the same excuse while those tax cuts do not create anything but more wealth for the wealthy. I contend that like the tax cuts for the wealthy, Obama is not fighting against environmental regulations to create jobs, but instead he is doing it to make more money for his capitalist contributors who got him elected, just as the Republicans do. While condemning thousands of people to painful deaths by violating the Clean Air Act, Obama’s move will save the car manufacturers, electronic companies, and other capitalists $90 billion per year according to EPA estimates. While the EPA regulations would have cost big polluters $90 billion to fix the problem, not changing it will, besides killing thousands of people and harming the health of many more, cost an estimated $100 billion dollars in yearly health care costs. Meanwhile, Obama’s unpopular changes to health care mean that many Americans still do not have health care; American health care remains double the price of countries with socialized health care due to capitalist insurance profit in the United States; and insurance capitalists remain in a position to unfairly and illegally decide who lives and who dies by denying payment for needed procedures. Medicare for all would have fixed this problem, but Obama was always opposed to any real solutions on health care. And instead of Medicare for all, Obama has made cuts to Medicare as well. While Obama portrayed those cuts to Medicare and Social Security as the result of a forced compromise with the Republicans, Obama has always been saying that cuts to those programs were on the table in the pursuit of reducing the national deficit. Meanwhile, the real cause of the national debt is the trillions of dollars that Obama and the Republicans have squandered on war. Obama’s policies are clear. Obama supports the profits of the big polluters, insurance companies, and armament industries over the good health of the American people. Obama’s illegal instructions to the EPA and cuts to Social Security and Medicare are the same sort of deregulation and cuts to essential social programs that the Republicans also claim create jobs. Yet, history shows an entirely different way to creates jobs. In 1935, at the height of another economic depression, the Democrat Party under Franklin Delano Roosevelt carried out a jobs program that improved the condition of the working class. 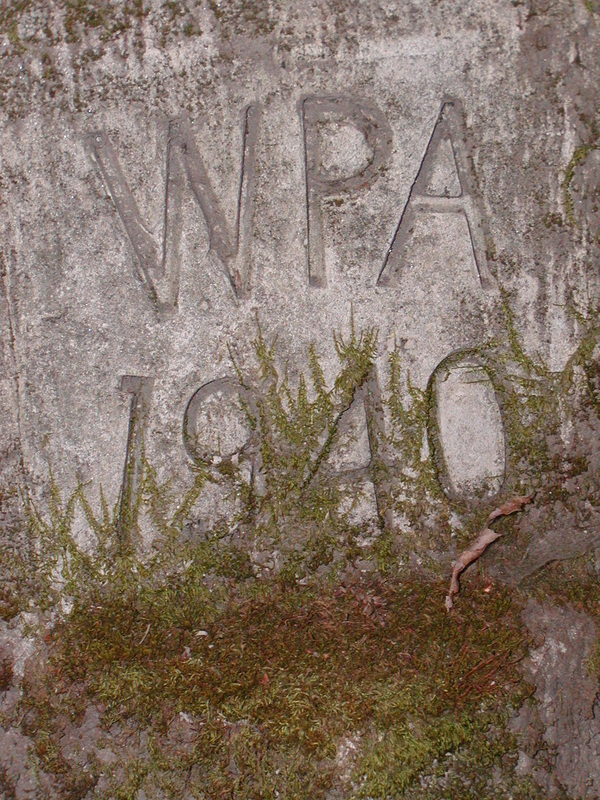 Key components were Social Security in the Social Security Act of 1935, the first minimum wage (40 cents an hour) and the 40 hour work week in the Fair Labor Standards Act of 1938, and jobs organized through the Works Progress Administration of 1935 which employed 3.8 million people from 1935 to 1941 and built 11,000 schools, 122,000 public buildings, 77,000 bridges, 285 airports, 24,000 miles of sewer, and 664,000 miles of road. These reforms took place not when there was a massive excess of money to be spared by the ruling rich for the working class majority, but instead in the heights of the Great Depression. So what is different between 1935 and 2011? Before 1934 the labor movement of the United States was taking a beating and unable to effectively fight back due to the conservative leadership of the labor unions. It was a situation very similar to today. In 1934 this all changed when socialists took the leadership of three important unions and, unlike the entrenched union bureaucrats, were able to lead successful strikes. These were the San Francisco longshoremen’s union led by the Communist Party, the Minneapolis Teamsters led by the Trotskyist Communist League of America, and the Toledo Auto-Lite Strike led by the left socialist Workers Party. General strikes also took place in San Francisco and Minneapolis. These victorious strikes were the three most important strikes in U.S. history. These 1934 victories (along with the tactics used) inspired the great labor upsurge that formed the CIO and made many gains against the employers. This is what created the climate that forced one of the parties of the ruling rich, the Democrats, to give the working class the “New Deal”. Still, left socialists, including Trotskyists, were not satisfied with Roosevelt’s new deal. They fought for far more, and in doing so got the gains that were achieved. Roosevelt, on the other hand, was a racist imperial president who installed the Somoza dynasty in Nicaragua, locked up Japanese Americans in internment camps, sent Jews back to their deaths in Europe, entered the war in Europe only after it was clear that the USSR would win the war, jailed Trotskyists and banned their newspaper during WWII for Trotskyist warnings that the U.S. could go fascist, and ruled over a country where, without Roosevelt’s intervention, the south was a semi-fascist state ruled by the KKK, Democrat Party, and local police who kept Black people in terror and prevented union organizing. American capitalist wealth has been achieved through slavery, the slaughter of American Indians, massive land theft from Mexico, the exploitation of labor, the exploitation of the environment, and the continuation of the U.S. imperialist empire. Roosevelt maintained and expanded U.S. imperialist exploitation of the underdeveloped world where Roosevelt installed and supported murderous dictatorships, like Somoza in Nicaragua, repressive governments friendly to American capitalist interests in cheap resources and labor. To this day the ruling Democrats and Republicans have little disagreement on the U.S. subjugation and exploitation of the world. For instance, following in Roosevelt’s footsteps, the Obama administration participated in the overthrow of the democratically elected government of President Zalaya in Honduras in 2009 after that government raised the minimum wage and formed friendly relations with Venezuela. The new government the U.S. has helped impose on the people of Honduras murders journalists and union leaders and is generally more friendly to U.S. imperialist interests. Like the Somoza dynasty imposed by Roosevelt, the power of the new death squad government in Honduras is maintained though repression and fraudulent elections with that government’s brute force backed up by U.S. military aid. Obama is doing the same as Roosevelt to protect U.S. capitalist interests around the world. This is also the true meaning of Obama’s war in Libya where, in the name of protecting civilians, NATO and the U.S. have put racist rebels in power that have committed mass murder against Black Africans and driven 750,000 Black Africans out of the country. In addition to opposing the imperialist policies of the Democrats and Republicans, the socialist program is one that can create full employment. It does so by removing corporate / capitalist ownership of the means of production and eliminating private profit. Instead of private profit, in a socialist society public ownership means that production can be geared for the public good to meet human and environmental needs. By eliminating capitalist private profit, a socialist United States will be able to easily provide everyone with a job, housing, health care, an education, and an emergency environmental program on climate change. With the exception of addressing climate change, this was done in the Soviet Union where socialism turned one of the poorest countries in the world into an industrial powerhouse capable of defeating two major imperialist invasions, including that of Nazi Germany, and able to rebuild providing everyone with a job, housing, health care, and an education. What was lacking in the USSR, however, was real workers democracy, an essential component of socialism needed to prevent abuses of power and to give the majority a better say in how society is run. The New Deal certainly fell far short of what socialists fought for, but it was enacted largely as a result of socialists and militant workers fighting. Despite falling short, the New Deal and labor contracts won by labor in the 1930s were historic gains of the working class. Yet today, instead of spending money on jobs, social programs, and the environment, Obama, like Bush, squanders trillions on maintaining the U.S. imperialist empire. The key difference between now and the 1930’s is that those reforms were enacted at a time when a militant labor movement was forcing the ruling capitalist parties to do so. That militant labor movement contrasts sharply with the present day where house broken labor “leaders” generally refuse to lead effective strikes and refuse to maintain effective strike funds and instead give union dues to the same Democrats who are dismantling the gains of the New Deal as well as other gains that have come since. In contrast to Roosevelt, Obama failed to attempt any kind of real jobs program in his first two years in office when the Democrats had control of the House and Senate. Likewise, Obama failed to take meaningful action during that period on the single biggest environmental problem facing humanity, climate change. This despite repeated promises that he would have the EPA regulate greenhouse emissions. Instead of doing anything, however, Obama suddenly dropped the question without taking action. Likewise, the Obama administration expanded drilling to 20 million more acres in the Gulf after the British Petrolium spill, showing Obama’s continued commitment to the oil interests who helped get him elected. A meaningful jobs and environmental program, in contrast to the deregulation being given to us by Obama and the Republicans, would include the rebuilding of needed infrastructure and the building of a greener economy, but to make these gains, and possibly more, will take a fight against the Democrats and Republicans. To wage such an effective fight we need to get our unions stop giving our union dues and union support to the Democrat Party. Instead, more money needs to be put into strike funds so that labor will be better prepared to fight like unions did in the 1930s. Also, environmentally minded people need to stop giving money to environmental organizations like the Sierra Club who give support to anti-environmental Democrats, including Obama, helping keep the status quo while ignoring pro-environmental “third party” candidates and by doing so helping keep them out of power. Instead of giving money to that type of organization we should take action building groups in our communities that are pro-environmental and pro-labor and willing to organize mass actions, direct actions, and strikes to effectively fight for change.